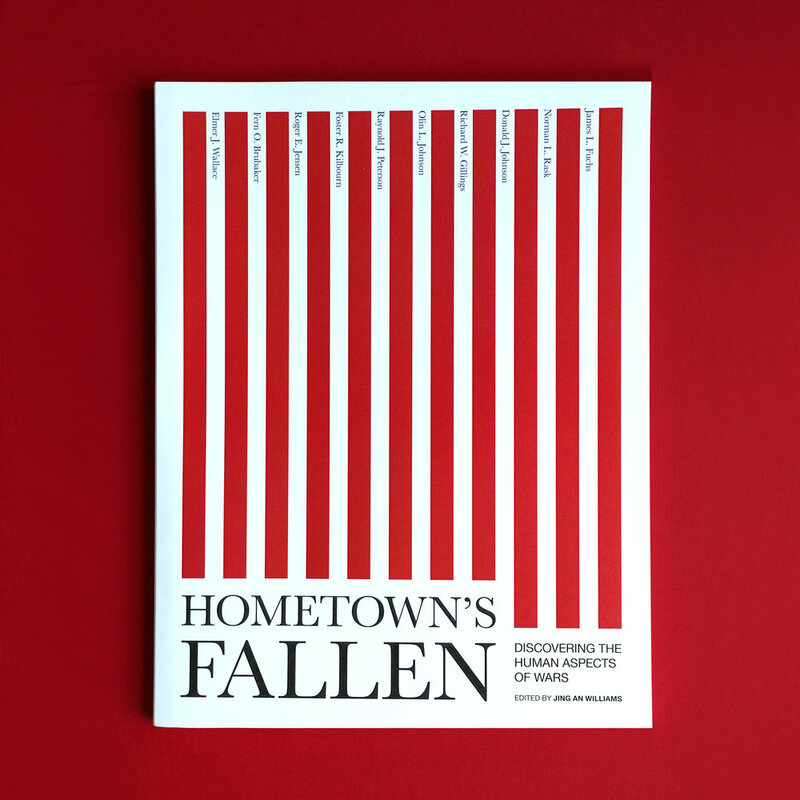 Hometown’s Fallen: Discovering the Human Aspects of War remembers ten Clay County soldiers who lost their lives in war (WWI, WWII, Korean War, Vietnam War). Jing An Williams, Ph.D., a social studies educator at the University of South Dakota, worked with her students in creating biographies for the ten fallen soldiers honored in the book. World War I era (chapter 1) features Colonel Elmer J. Wallace. World War II era (chapters 2-5) focuses on four fallen veterans: Sergeant Fern O. Brubaker, Seaman First Class Roger E. Jensen, Sergeant Foster R. Kilbourn, and Sergeant Raynold J. Peterson. Korean War era (chapters 6-9) highlights another four fallen: Private Olin L. Johnson, Private First Class Richard W. Gillings, Private Donald J. Johnson, and Private Norman L. Rask. Vietnam War era (chapter 10) gives prominence to Private First Class James L. Fuchs.